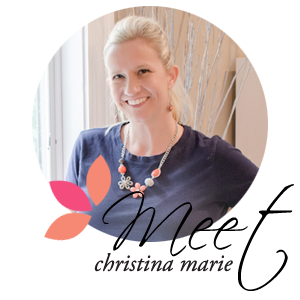 Welcome to Christina Marie Events Blog. This has been on my to do list since Spring, the only barrier was I was so busy working with Weddings and some social events that my time was stretched thin. So here I am breaking into the blogging world. I hope to make it a common practice to get on here as much as possible and let future clients or newly engaged couples know what's new in the Wedding industry, fill you in on my recent work and share any insight or stories I may have that day!! When 2008 started I had made a commitment to myself to only allow so many Events this year as my Husband returned home from Iraq after a 22 month deployment. Being that most events happen on the weekend I wanted to make sure I had some "QT" time with the hubby! Now that the year is almost coming to a close I look back and think what happened to this year already. Oh that's right I took on more events and weddings than had intended as I LOVE doing this so much it was hard to say "No" when a bride would call and want to tell me about her wedding and all the fun plans & visions she had. As well as the excitement of being a part of a social event or in the fast pace lane of the corporate event planning. Planning Weddings & Events is truly my passion and I am extremely fortunate to be doing my dream job day in and day out. I am a very thankful person for all the joy in my life! I decided since I could be here for days writing about all of the wonderful people I have worked with this past year, I would show case some of my most memorable Weddings and Events this year and then make a commitment to be as regular on my postings as possible.